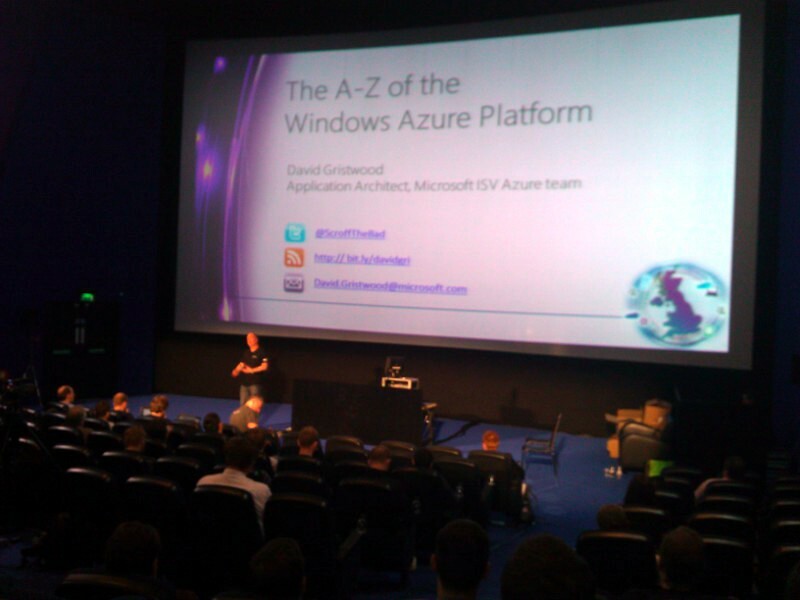 I was able to get along to the UK Techdays event this year in Fulham (it’s a free event – if you can make the time, it’s worth the trip) to hear about the latest developments in the Windows Azure platform and also Windows Phone 7. The first day concerned Azure, and it was interesting to hear from the Microsoft techies and evangelists (David Gristwood, Eric Nelson, Steve Plank and Keith Burns amongst others) , giving us the low-down on features and also running through some brief tutorials which showed us how to accomplish specific tasks, like deploying new web roles and administering our platform instances via the control panel. 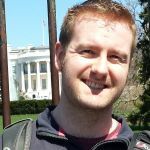 Steve Plank took us through some more interesting aspects like connecting your local Active Directory to your virtual network in the Cloud, and also spoke a bit about AppFabric and the various components which it concerns. It was also interesting to hear from external businesses which have based their products on Azure, or had at least implemented a solution based on the technology. The general theme is that, if you can move your infrastructure to the Cloud and get rid of your existing hardware, it really is a no-brainer. If anyone is thinking of implementing a high-volume scalable solution, then they can use this technology at a fraction of the price. One of the speakers mentioned that they were able to turn their six-figure annual costs into a three-figure monthly payment! Keith Burns later gave a talk on the Sql Azure platform, and the differences between it and Sql Server. To be honest, the differences are fairly small (no full-text indexing or non-clustered indexes yet) but the sizes and costs seem a little prohibitive to me. There’s a maximum of 50Gb per database (which is a LOT of storage anyway, but you still have that limit whereas the Table Storage and Blob Storage technologies are vastly larger) and there’s a cost of Â£6.06 per Gb of data. There are of course data transfer costs, but these only apply when your data leaves the data centre – having an Sql Azure database which is used by a Web Role (for example) located within the same data centre will not occur any costs. The second and third days were completed engulfed by Windows Phone 7 announcements, demos and more case studies from external developers (including Cocktail Flow and Very Software). They demonstrated how their applications were put together, design decisions they made and also presented demos of their applications running. Brandon Watson was there as the keynote speaker and gave some insight to the progress of the phone at the application repository which seems to be growing at some rate (1000+ new apps every month?). He also outlined some of the changes coming with the new “Mango” phone update and the new developer tools (which were released a couple of days ago). Oren Nachman gave some great talks and demos surrounding performance on the phone, and highlighted the quite obvious issues with the standard list box and how slow it was with any decent size list. 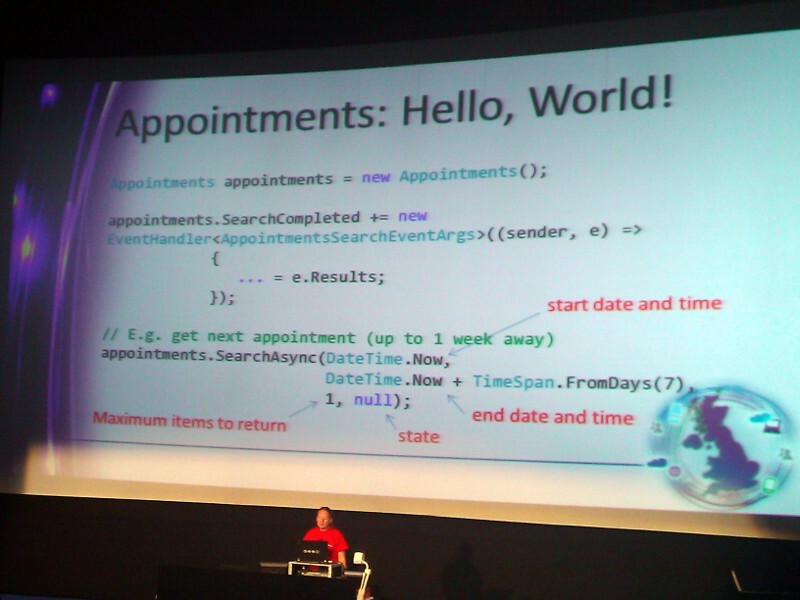 He walked through a simple broken application and attempted to fix it by using the proper debugging tools and applying the appropriate fixes. He also (on the second day) gave an account of the differences between Silverlight 4 on the desktop, and the forthcoming Silverlight 4 for the phone. Later, Andy Wigley (Appamundi) was on hand to give a complete demo of the new Sql CE for WP7, and set about converting an existing Xml-based phone app into one which makes use of Sql and Linq. By the looks of it, it’s almost exactly the same as the LinqToSql technology which is available on the desktop, except there is no designer. So all your entity classes and contexts must be created manually (including specifying all of the appropriate attributes and making sure you fire the usual PropertyChanging/PropertyChanged event pair for the change tracking to work. You could see during the demo that this is all very manual, and it will be a good day when some designer tools for this technology are released. There was also a run-through of Expression Blend 4 by Brennon Williams, who showed us some design issues and how to create a functional prototype of an application using Sketchflow. No discredit to Brennon at all, because his talk and the presentation was excellent, but the topic missed the mark a little for me as a developer. I would have liked to have seen more about how to use Blend from the point of view of the developer – creating your application code in Visual Studio and then applying some gloss using Blend (which is what I understood the workflow to be). Nevertheless, I did enjoy it and hopefully such a topic will be part of next year’s event. All in all, a good three days and would definitely attend next year. They do give out freebies and prizes and such, including geeky T-shirts, tokens for AppHub subscriptions (yours truly being the recipient of one such token!) and even phones!